Observational drawing is easily defined as drawing from real life perception. When an artist observes and responds with their individual visual representation. If you’re new to this approach it’s key that you’re patient and not too hard on yourself because actually, it’s a technique that most find tricky with artists practising their entire career. When it comes to the types of observational drawing, examples include, still life, figurative and landscape. So here we’ll explore these subjects in-depth and take a look at the tools you will need. Remember in Art at school did your class have to sketch a display of commodities? Well, this technique is called still life and focuses on inanimate objects. Still life contrasts figurative drawing, which is based around living models. 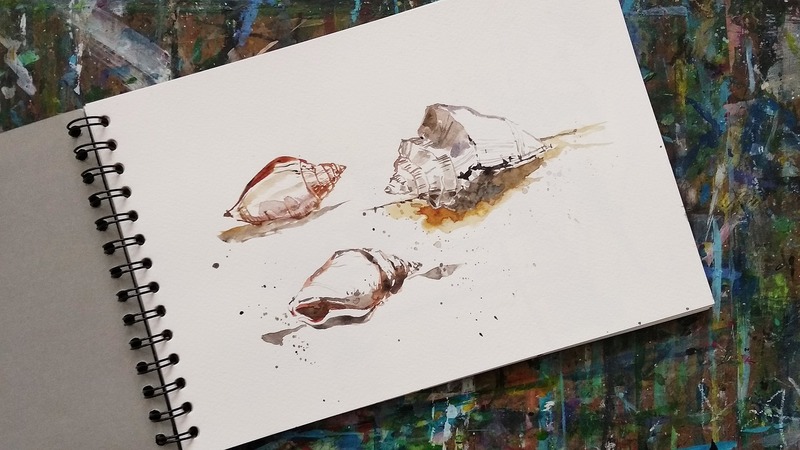 It’s also a starting point for observational drawing, enabling beginners to learn key skills. Popular items you may have seen for creating still life work, are fruit bowls, jars and pottery because they are made up of simple shapes. In fact, famous artists include Cezanne for his piece The Basket of Apples. Then there’s the fabulous Vincent van Gogh and his series of Sunflower paintings. In terms of still life, it’s always an idea to draw real objects whenever possible. Ellipses should also be rounded not pointed (cylindrical objects) with outlines kept light and detailed. For creating your piece of still life art try Derwent Lightfast Pencils. These will help you achieve a good range of tone and work for detailed or freestyle drawing. Figurative observational drawing contrasts its static still life alternative. It focuses on models as opposed to objects and is also referred to as ‘Life Drawing’. While there are no fixed rules for figurative as such, there are some common tricks artists use. Some even warm up with 20-second drawings which is said to alleviate anxiety. Some of the most famous figurative artists include Rembrandt and Caravaggio and let’s not forget Leonardo da Vinci's iconic The Vitruvian Man. With regards to figurative observational drawing, it’s important to get your setup just right. Also, look at what you’re drawing and don’t fixate too much on one part of the figure. Guidelines and grids are also useful for getting your proportions perfect. And for this technique, we recommend Derwent Graphic Pencils - voted Independent Best Buy. Landscape observational drawing honours our natural environment. Whether that’s the mountains, countryside or coast all elements are arranged in a coherent composition. Like compiling a sketchbook of snapshots the sky and weather are almost always included. Landscape art also features a spiritual element and can be imaginary or totally real. Works by Monet actually revitalised landscapes when he rejected the traditionalist way. His approach observed variations of colour and make his work highly recognisable today. Last but not least you will need a good sketchbook and for this, we recommend Winsor & Newton. These Hard Cover Wire Sketch Books come in sizes A3 and A4 and are suitable for most drawing mediums. Stay tuned as we bring you more from the industry over the coming weeks. But in the meantime, why not browse our online store to unleash your inner observationalist? Still life observational drawing using watercolours instead of pencils.